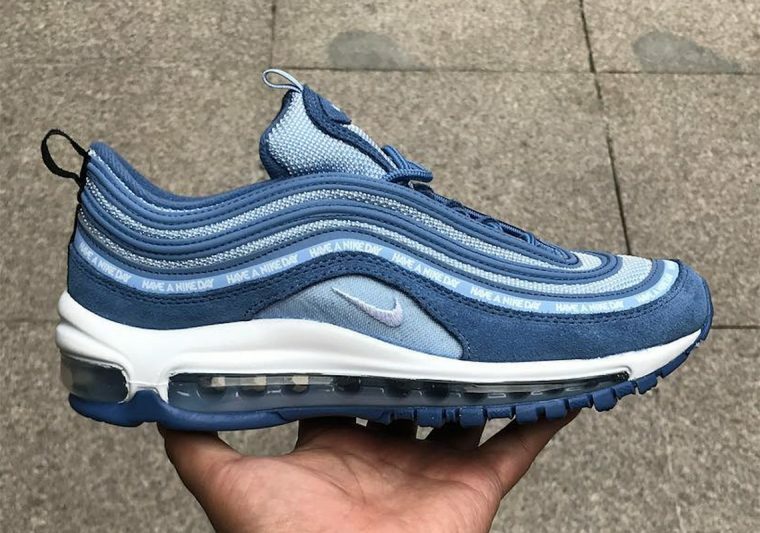 Inspired by 2018’s logo mania trend, Nike has been paying tribute to some of its most iconic slogans this year. 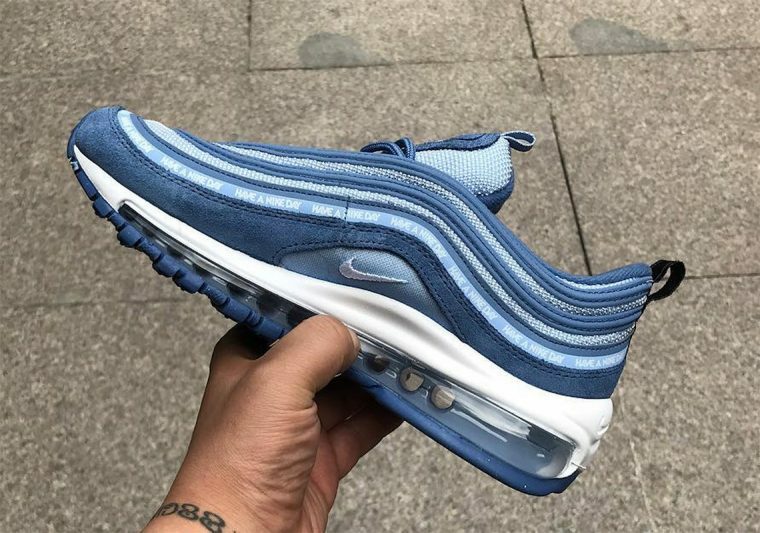 The first pair to be stamped in the famous phrase is the Air Max 97, which is decorated in ocean blue hues from top to toe. 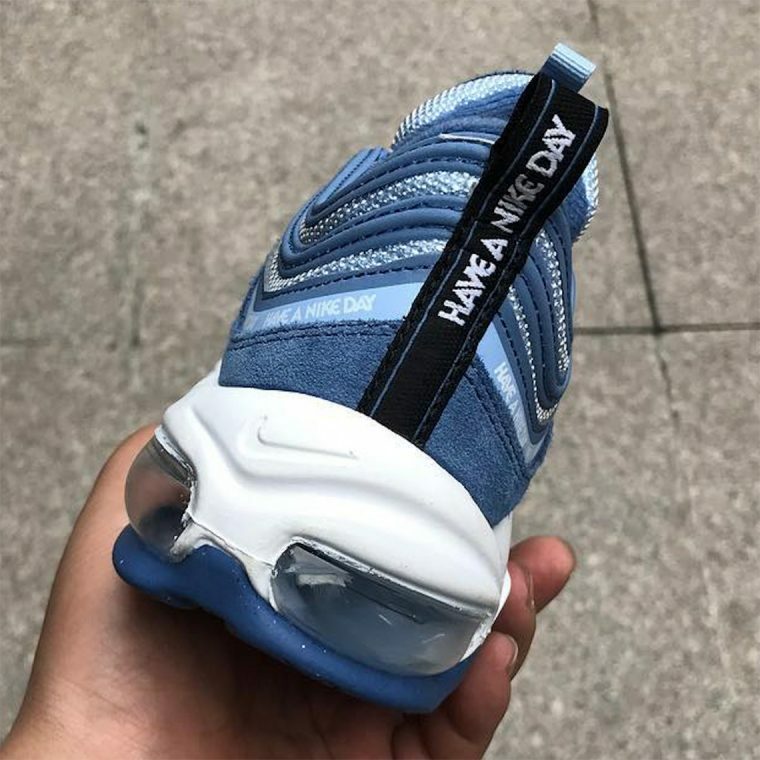 “Have A Nike Day” is repeatedly printed in white across the sneaker’s lowest racing stripe and pull tab at the heel, creating a one of a kind aesthetic. Crafted in a luxurious combination of mesh and suede, this pair is wonderfully wavy. 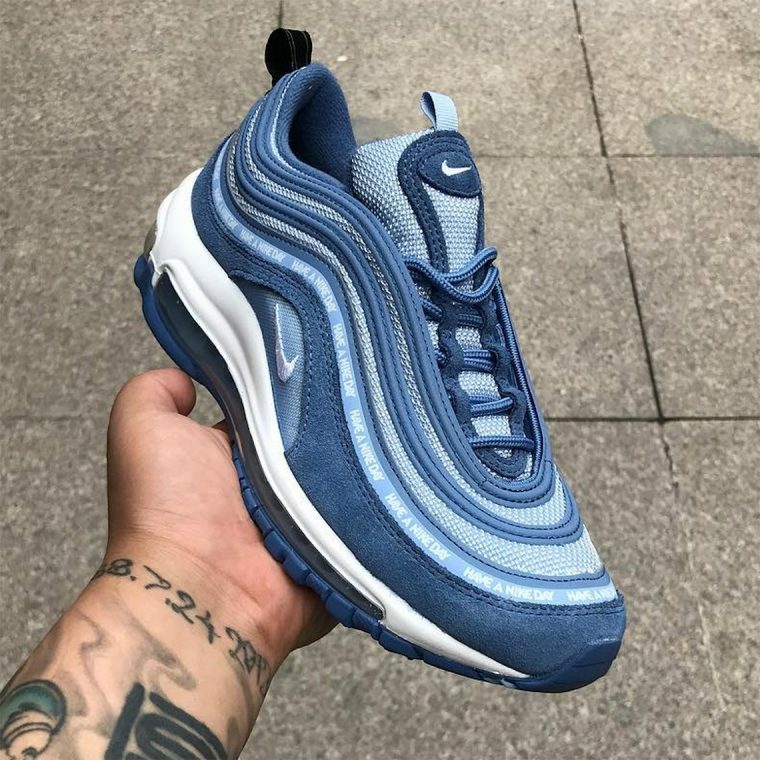 If the “Have A Nike Day” Air Max 97 is already on your wish list, be sure to stay tuned for official release information and check out our selection of women’s exclusive AM 97s while you wait!